According to one of Apple's closest partners, the company's choice to award production contracts for its forthcoming "A9" chip to Taiwan Semiconductor Manufacturing Co. —rather than single-sourcing parts from Samsung —was the result of a concerted lobbying effort from fellow Taiwanese firms. Foxconn boss Terry Guo said he pushed Apple to choose TSMC because Taiwanese companies must stick together against the "Korean Wave," according to UDN. The report was first noted by GforGames. 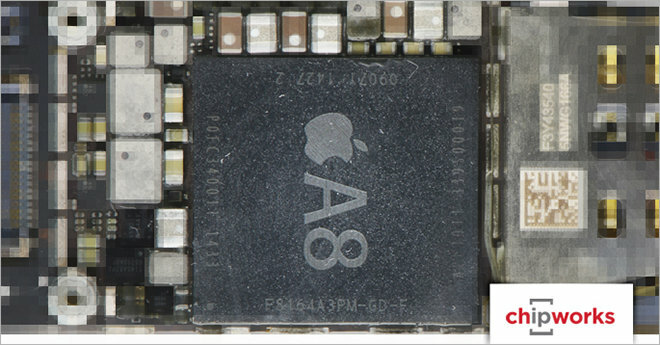 While the exact fabrication arrangement for the A9 is unknown, TSMC is thought to have won as much as 30 percent of the orders. Splitting A9 production between TSMC and Samsung is said to have been a "last-minute decision" on Apple's part. As the CEO of Foxconn, Guo is one of Apple's closest allies and likely holds significant sway with Apple executives. Foxconn is responsible for the manufacturing and assembly of the lion's share of Apple products, helping Apple's operations team manage the company's staggering growth. Samsung, meanwhile, maintains a somewhat testy relationship with Apple. The companies compete fiercely in smartphones and tablets, and while Samsung's foundry unit operates independently from its consumer electronics business, that animosity is believed to have soured both relationships.